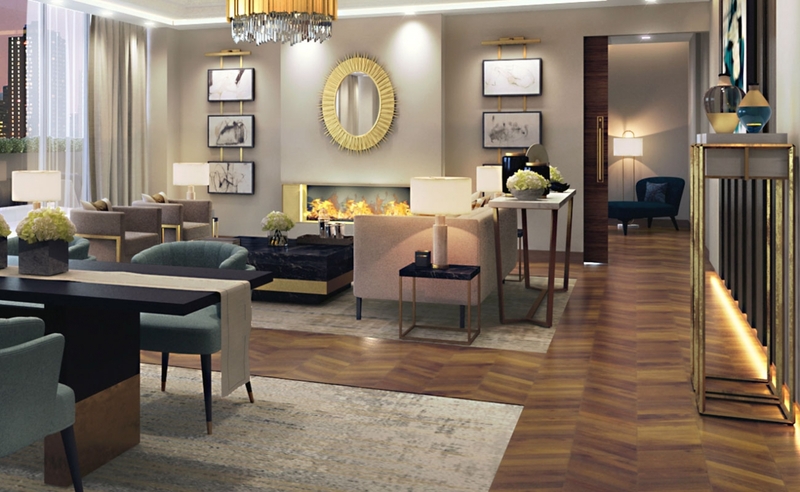 Bold and elegant, sumptuous and timeless, De Gray Hotel was designed to act as a backdrop for rich lives of its visitors. 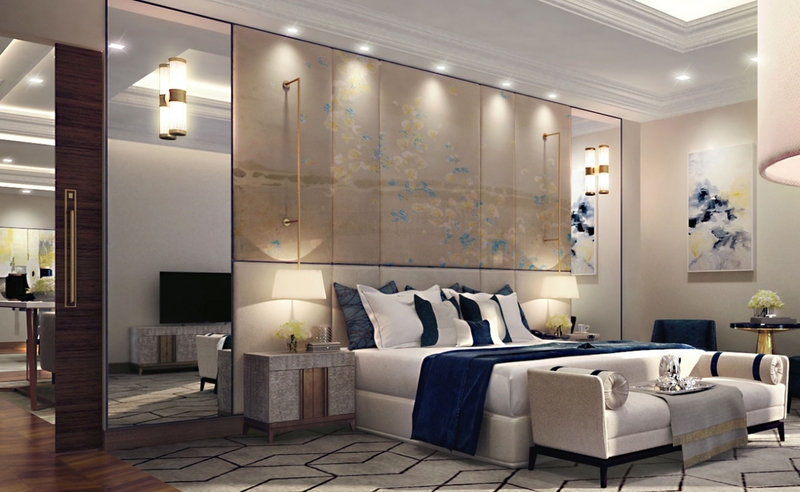 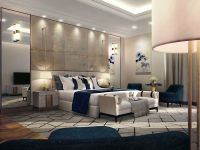 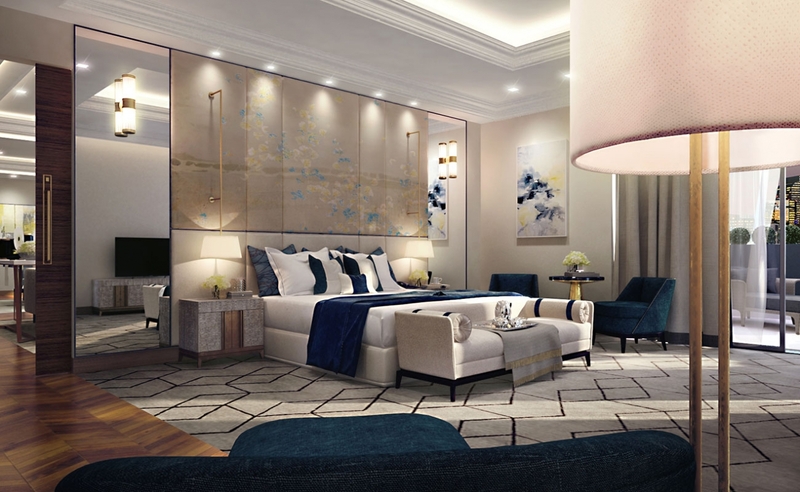 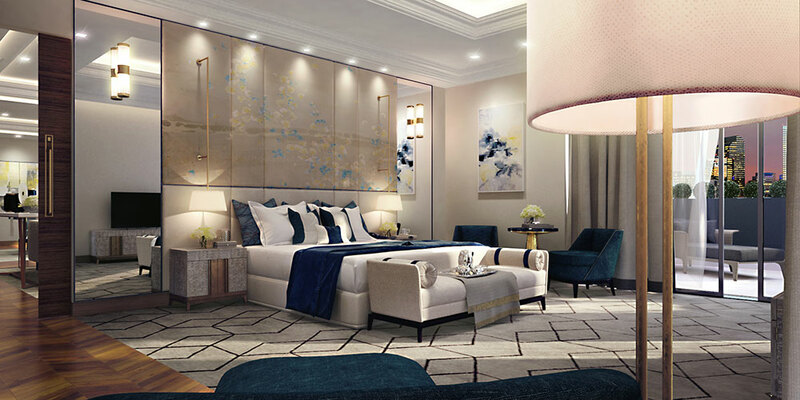 Our brief was to create sophisticated top floor deluxe hotel suite and apartments which will be haven of peace and calm as well as suitable for entertaining. 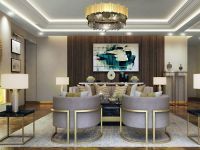 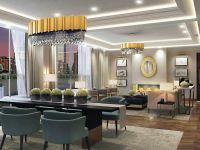 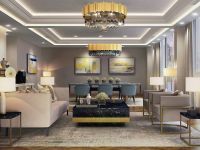 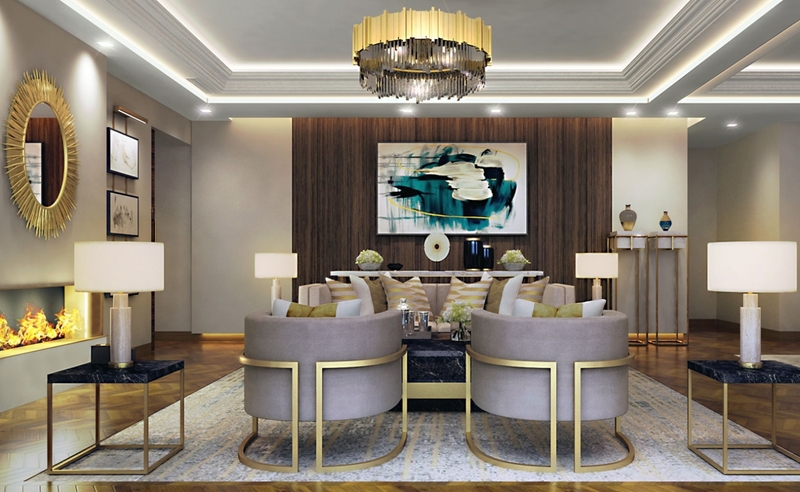 The expansive one-bedroom suite is designed as an open space living/dining space, the star attraction being the balcony running across the entire length of the sitting room and master bedroom. 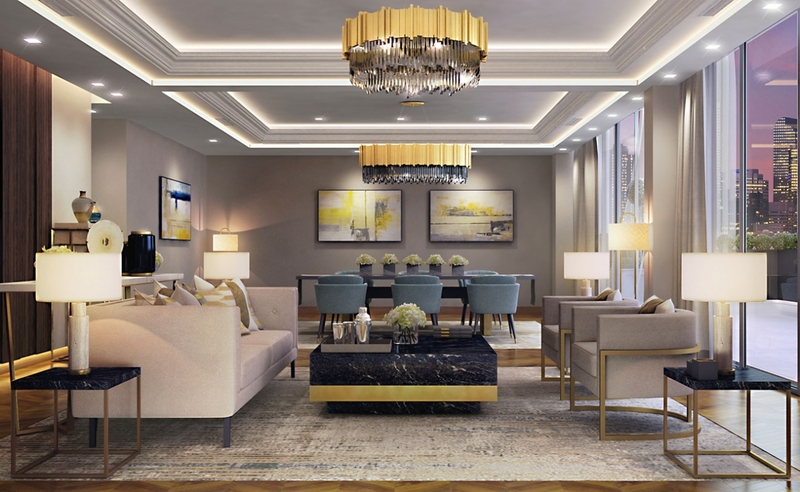 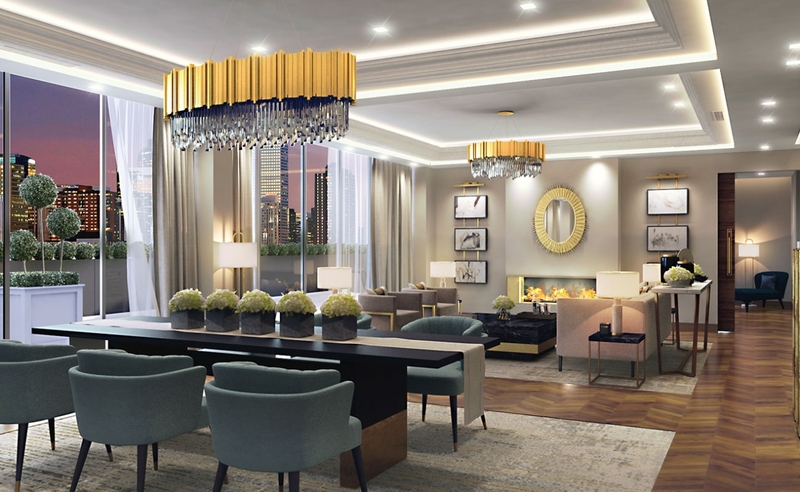 Spacious and elegant with a comfortable seating area for guests and an open-plan layout and dining room for six, these suites are ideal for entertaining. 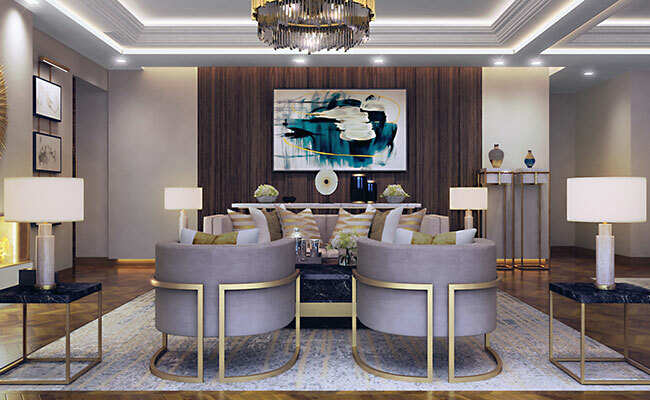 Pièce de résistance is the fireplace in front of the comfortable yet chic sitting area, whilst floor to ceiling glass doors add to indoor outdoor feel. 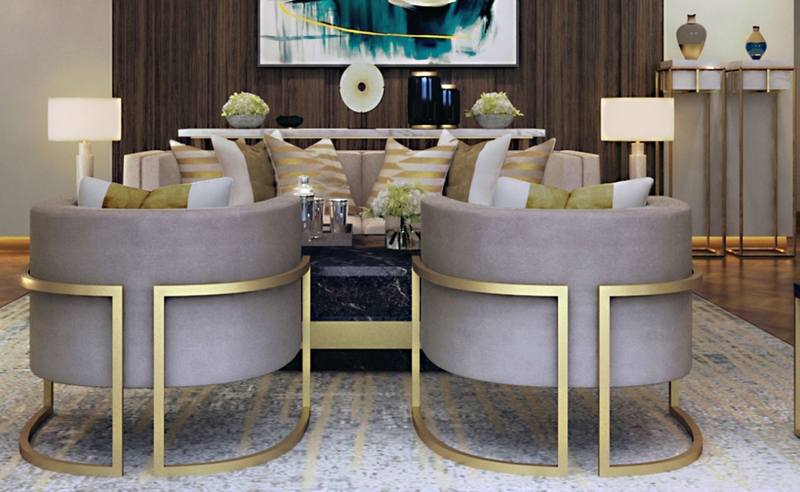 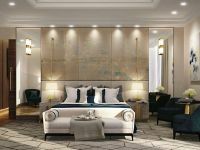 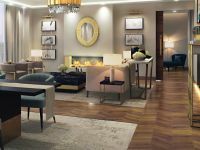 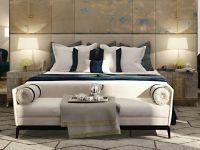 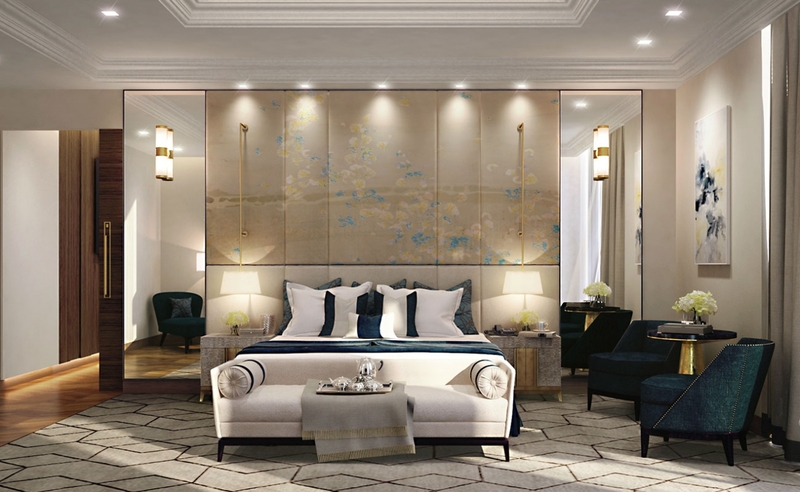 Our designers considered every single detail, from the illuminated skirting, bedside wall lights to furniture, in order to ensure both luxury and exclusivity. 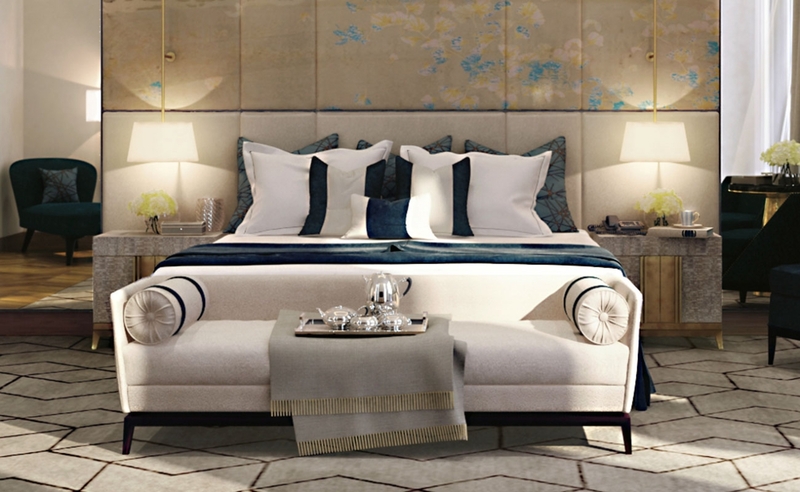 Hotel bedroom features framed embroidered silk panels with cut glass mirror sides, bespoke lights and casual cashmere blend blankets to add individuality. 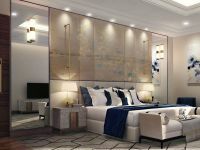 The interior style of the suite design is plush and elegant, with interesting and varied furniture and sensitive layered lighting. 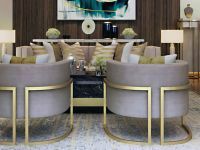 We used high-quality fabrics, including rich silk and cotton blended velvets, linen, wool with leather trims for textures, light reflective and acoustic absorbing qualities to create one of the finest hotel suites.